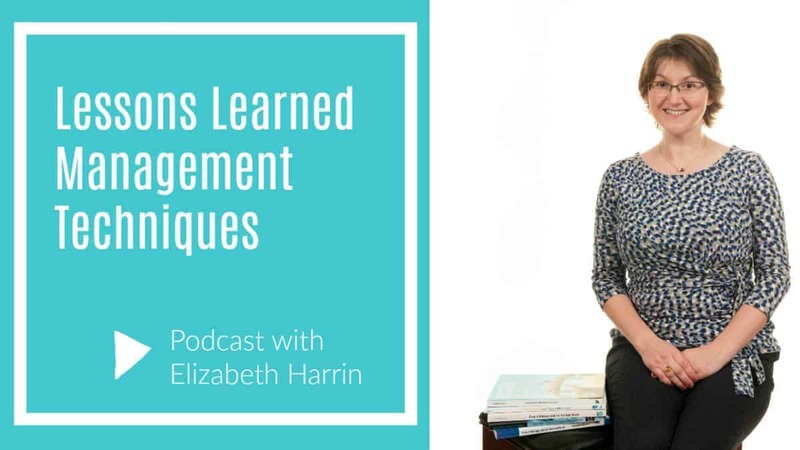 I was interviewed by the lovely Cornelius Fichtner recently for an episode of the Project Management Podcast™ on lessons learned management techniques in project management. It was great to chat to Cornelius again, and we shared lots of tips for the process of lessons learned. We need to make the distinction between ‘lessons captured and ‘lessons learned’ because often on projects we write things down and capture them without actually learning or doing anything with them. If you don’t use them, what’s the point of gathering them? They should feed into continuous improvement plans. And while doing some of the bigger improvements might be a lot of effort and might put people off making changes, there are normally one or two small things that come out of a project that you can easily change for the next project to make it better. As project leaders, we need to make sure that whatever organisational knowledge we learn as we go is processed somehow and we actually do something with it so it becomes ‘learned’. What are Project Lessons Learned Management Techniques? Management techniques are simply effective ways of working. Examples of lessons learned management techniques are how we capture, record, analyse and use lessons learned for continuous improvement. Tools and technology, e.g. how you then store and recover those lessons learned once you’ve finished capturing them. I also talk about a lessons learned meeting I facilitated and how that went, and the importance of facilitation skills in this kind of session. Over in the Resource Library you’ll find lessons learned project management templates for an agenda and minutes. These are specificially designed for lessons learned meetings, covering the agenda points you need to address in the session. The lessons learned minutes templates is laid out to help you capture the key points about the project raised during the discussion. The Resource Library is free to join! 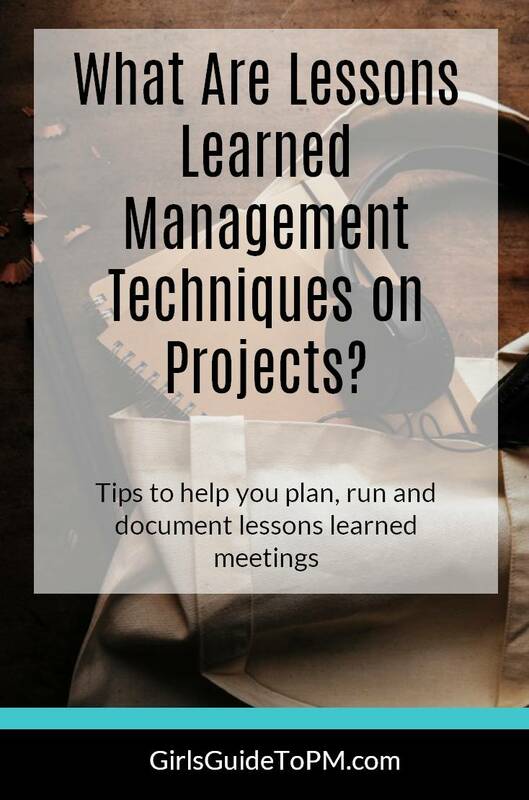 Once you have registered you get instant access to dozens of project management templates, including two specifically for lessons learned meetings. See you inside!